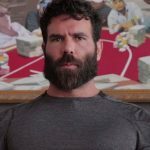 Dan Bilzerian, the bad boy poker player and “King of Instagram,” has escaped jail time following his arrest on bomb making charges late last year. 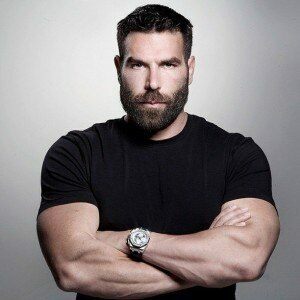 Bilzerian instead agreed to a plea bargain which will see him deliver a repentant public service announcement on behalf of the Bureau of Land Management (BLM), presumably on the follies of blowing stuff up in the desert. With Bilzerian’s 6.5 million social media followers hanging on his every incendiary update, this is surely the kind of exposure the BLM has been waiting for, although in this case the message will be positively anti-incendiary. Bilzerian was arrested at LAX in December with co-defendant Jeremy Guymon for possession of bomb-making equipment, specifically ammonium, aluminum powder and ammonium nitrate, which, when mixed together, will act like pure TNT. Bilzerian’s arrest crowned an awkward week; he had arrived at LAX directly from Miami, where he had been accused of kicking a model in the face at nightclub. To be fair, it probably wasn’t a great week for the kicked model, either. Suddenly, a man for whom life is just one big party was facing the grim reality of the situation: a potential prison sentence of between one and six years. Bilzerian was briefly incarcerated as a teen having been caught by law enforcement with a machine gun in trunk of his car. Thanks to the plea bargain, however, and no doubt the involvement of “super-lawyer to the stars” David Chesnoff, the main charges were dismissed, and Bilzerian pled no contest to a misdemeanor charge of negligently failing to extinguish a fire in the open. 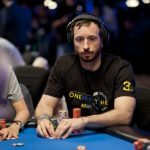 Chesnoff, who is also defending poker player Paul Phua in the ongoing Caesars Palace World Cup betting case, said that Bilzerian has also agreed to pay $17,231.50 for clean-up costs relating to his combustible activities on BML land. He was not in court to face charges. Bilzerian is an unapologetic weapons aficionado, who regularly posts Instagram pictures and videos of his vast gun collection on social media, along with himself cavorting with bikini clad models. He recently expanded his inscrutable talents into the realm of movie acting, taking a job as a stuntman in the movie Olympus has Fallen. This has, in turn, led to more conventional, albeit brief acting roles in Hollywood movies, such as Lone Survivor and more recently The Equalizer. For his next proposed film, tentatively titled How NOT to Blow Stuff up in the Desert, however, he’ll be taking the starring role, rumors abound. Who is this guy? I’ve never heard of him. Interesting guy, really no comment on this other than I envy nothing about his life, that’s just me, I’d take 1 gal and 5 canines as family not the other way around. Let’s see how it plays out. He is a professional dickhead. He lives his trust fund baby life of leisure on social media.